Today I bring sad news. Santa’s had an accident! 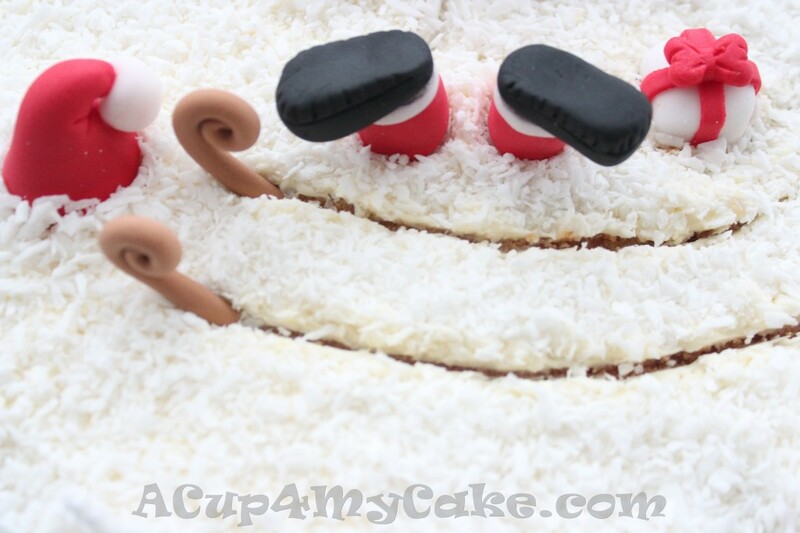 He was happily flying in his sleigh, got distracted and suddenly fell down over a snowy landscape!! Crash !! I had this funny idea for my Christmas cake. Easy and delicious! I hope you get inspired. 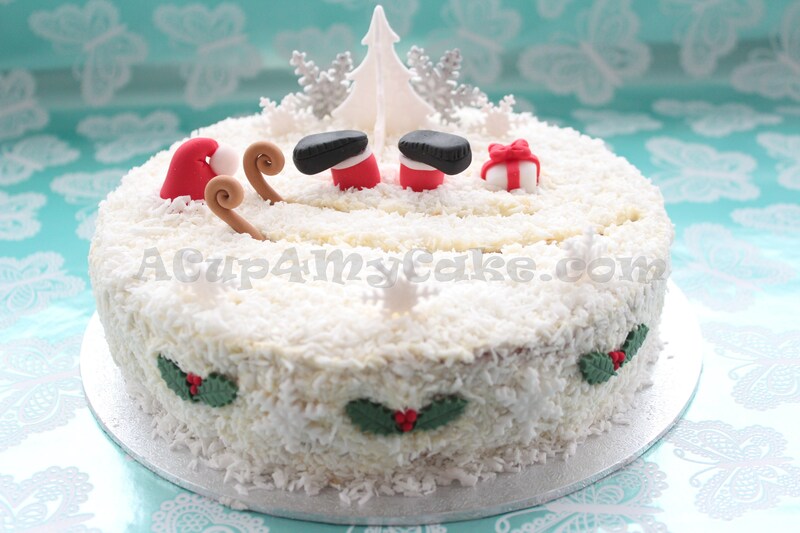 I coated this 8 inch cake with a thin layer of buttercream and some coconut flakes, which look like snow. The figurines and ornaments were handcrafted with gum paste. I made the sleigh tracks over the snow by means of a skewer. 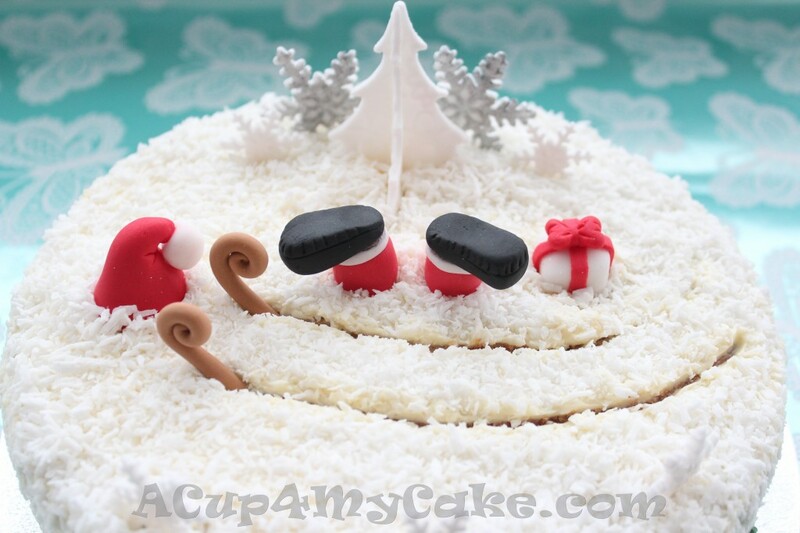 This entry was posted in Cakes, Christmas. Firstly, poor Santa! And then – Wowww, this cake is sooo fun and so very beautiful. I can just imagine all the children in my family looking at this and their imaginations running wild! Nice work as usual, Chets! Thanks for your nice comment, as always : ) I appreciate a lot your visits to my blog!! 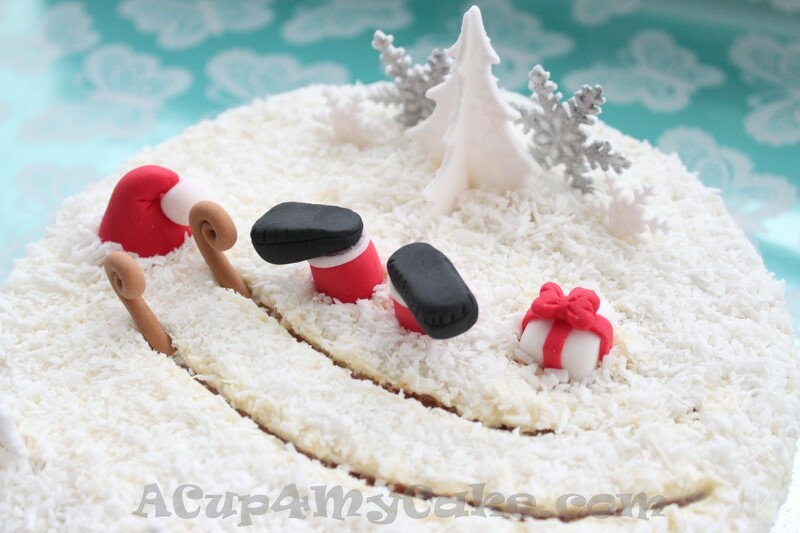 The children in your family are lucky to have someone like you to make their cakes!